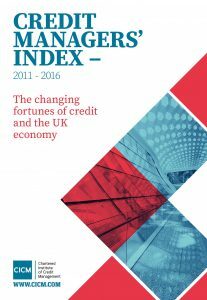 The CICM UK Credit Management Index is calculated using input from credit professionals and provides a detailed insight into the thoughts, attitudes and levels of confidence of UK credit professionals. 12 June 2018 – Services back on track as overall credit picture remains mixed – read the full press release here. 08 June 2018 – New five-year study shows changing fortunes of Credit – read the full press release here. 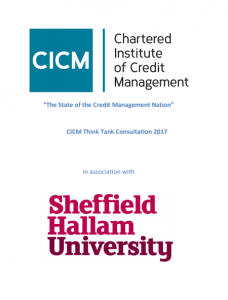 ‘State of the Credit Management Nation’ Report 2017 – commissioned by CICM in association with Sheffield Hallam University. Please contact governance@cicm.com if you have any questions.